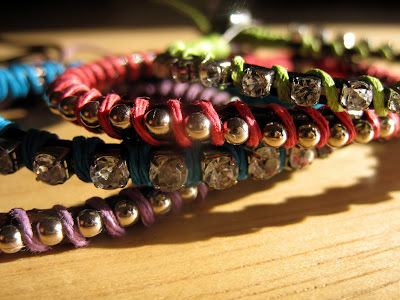 Like red pants, friendship bracelets are one of the biggest trends of the summer. 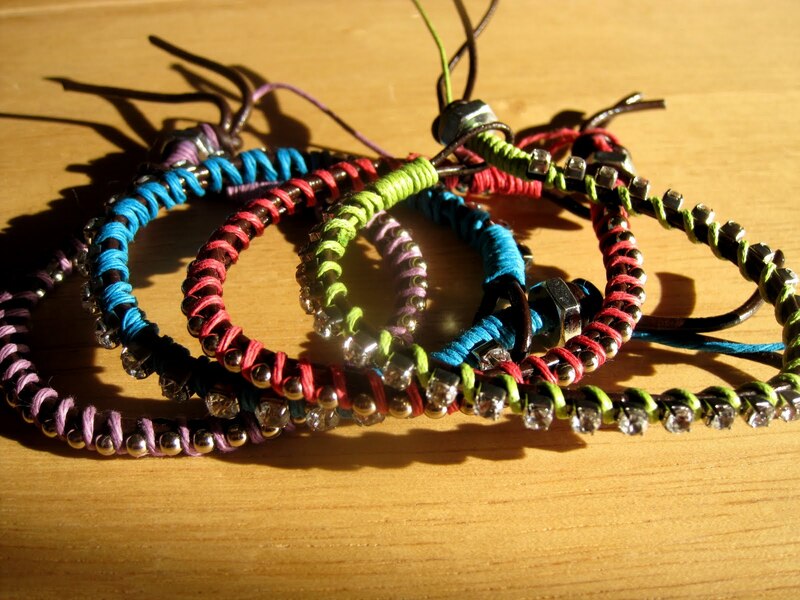 From the little string knotted ones I made 100s of as a kid to $100(+) Chan Luu leather wrap bracelets. If spending hundreds on a stack of Chan Luu bracelets isn't your cup of tea, there is a great tutorial on how you can make your own (above). And my bloggie friend Rosa, did just that! ...And lucky for me, I won her giveaway. I'm obsessed with these bracelets and am currently rocking them as I sit and pound away blogging, catching up on some Refinery29, and pinning more loves on Pinterest.... (or my usual morning routine). Have you made any friendship bracelets this summer? Have you purchased 'store-bought' ones? Gone old school and received one from your bestie?? I've been seeing friendship bracelets everywhere this summer! (especially in the blog world) I really love the texture and color of these, great find! Ever since I saw that Honestly WTF diy for these bracelets, I've been obsessed with making them. I'm all about bracelets these days, so it is a great way to add more to my collection and not spend too much money. I was lucky enough to get a bracelet from Rosa and she did a fantastic job making them. I've been wearing mine since I got them. Congrats on the giveaway!! I think they're so fun! I used to make TONS when I was a teenager! I've purchased a few lookalike friendship bracelets this summer...thye're a little more modern looking than the typical make your own kind though. Oh so sweet! I am so glad you are enjoying the bracelets! thanks girls, it's definitely a fun trend, and super affordable if you DIY!